Mahavira’s quotes continue to carry immense wisdom, not only for adherents of Jainism but also for many more people around the world who come across his teachings. Mahavira, according to Jainism, is the last teacher. He is a symbol of dedication to spiritual belief and meditation, having spent decades teaching Jainism and its values, especially in South Asia. His life is therefore an example of how one can find spiritual awakening and in the process transform the lives of others in a positive way. 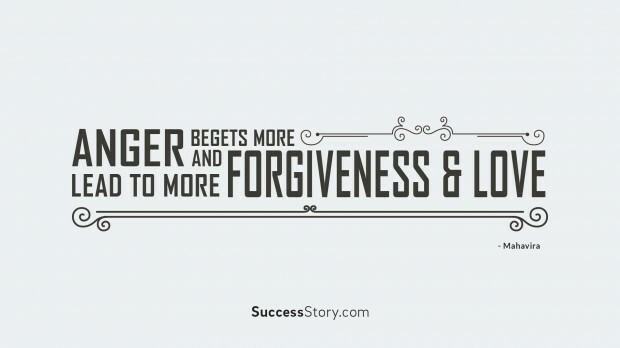 "Anger begets more anger, and forgiveness and love lead to more forgiveness and love." Mahavira’s quotes are mostly drawn from his teachings, and aim at spiritual enrichment and meditation. Although made in Hindi, his sayings have widely been translated to English due to their broad appeal that transcends cultures and languages. Mahavira emphasized the importance of the soul as the home of the spirit. He urged peaceful coexistence with other people, especially through self-control and according others their due. He taught his followers to respect and protect nature. His quotes also warned against allowing anger to overcome us. Instead, we should be quick to forgive in order to foster good relations. Mahavira also warned against excessive accumulation of wealth, noting that it should instead be used for the good of society. As can be discerned, Mahavira’s quotes contain enduring messages of peace and spiritual enlightenment. His teachings have influenced millions around the world, including the great Mahatma Gandhi. It is no wonder that his legacy remains strong many centuries later.